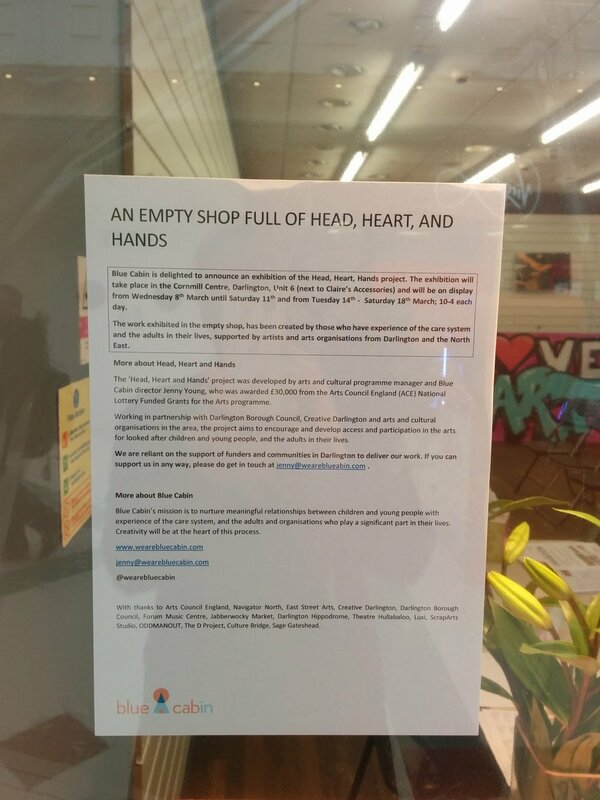 The wonderful Navigator North asked us if we would like to use one of their Empty Shops (in the Cornmill Centre, Darlington), for our Head, Heart, Hands project - we said yes (of course) and then had approx 4 days to fill it! Our incredible Associate, Jane Gray, did just that* and the results are beyond lovely. Participants, members of the public, friends, supporters and partners have been visiting the exhibition and giving their feedback - Happy, Fun, Colourful and Inspiring are just a few words used.